The diagram illustrates how Sub-surface labels are constructed. First we start with a clear polycarbonate or polyester. We then print the image on the reverse face of the material, starting with the first colour, followed by any additional colours in sequence, finally working back to the background colour and the application of the adhesive and release paper. 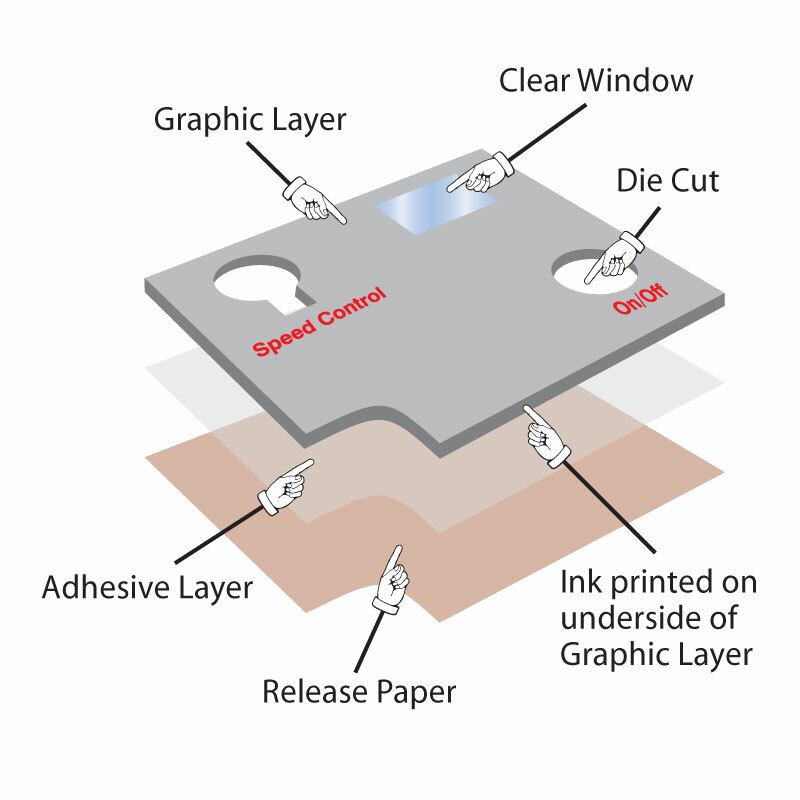 Once the labels are finished and cut to shape, the printed image is then viewed through the substrate on which it is printed. This type of label is therefore very durable, as the image is so well protected by the layer of clear material. Another feature of the sub-surface label is the ease with which we can incorporate clear or tinted ‘windows’ into the design, to facilitate the sight of instruments or indicator lights etc. Hidden or secret information windows are also possible, so that backlit information is only visible in certain circumstances: for example, in an emergency situation etc. 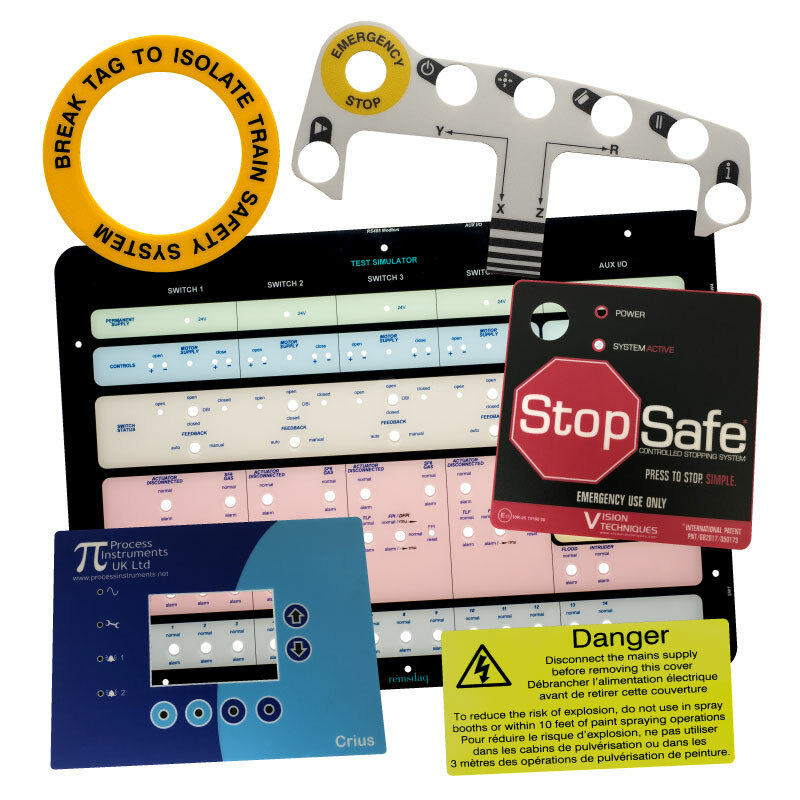 Sub surface labels can be guillotined or die-cut using low cost cutting dies. In many instances we are able to save you even this modest cost, as we often have a stock cutter, which would be suitable for the production of your labels.